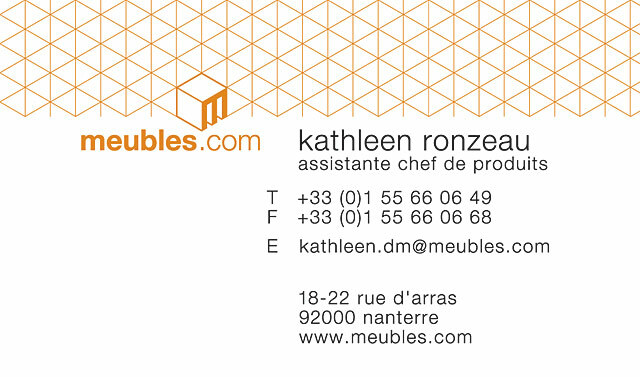 Following our fruitful collaboration with French mattress and bed supplier Matelsom we were commissioned by their newly acquired sister-company in 2003 – online furniture supplier meubles.com – to create their logo and visual identity and apply it across stationery, a Metro poster campaign and their e-commerce website offering thousands of products. 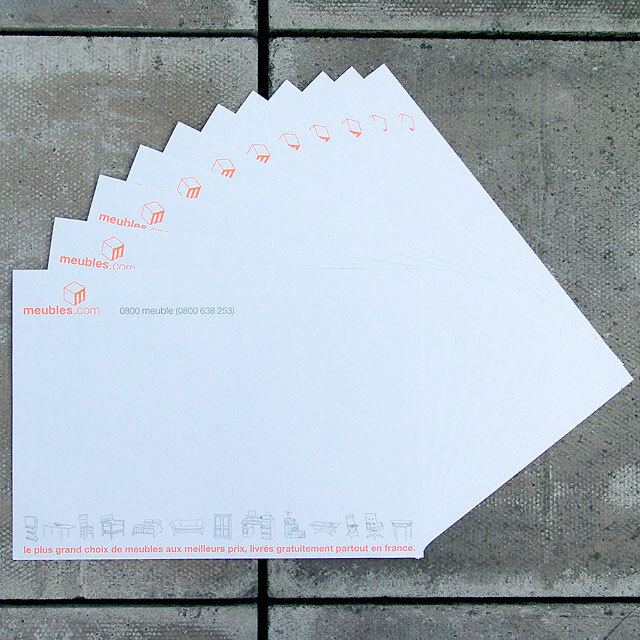 Apart from a couple of very early experiments with fluorescent orange the logo quickly started to feature what was to become the company's signature orange. The logo did of course also work in black and white when required. 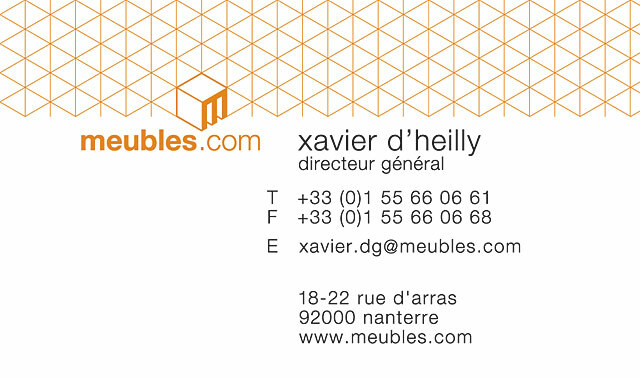 It included a logotype and a symbol that could also be used separately as a web icon or stencil for example. 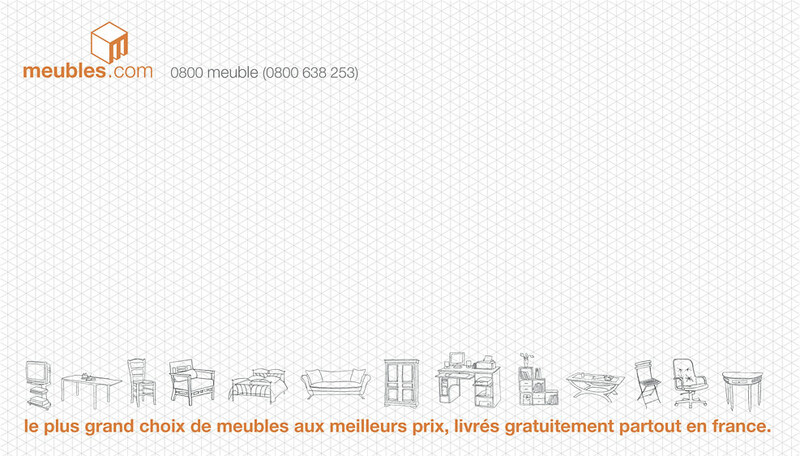 Nowadays meubles.com is part of Groupe Matelsom that also includes French firm Camif since 2009. 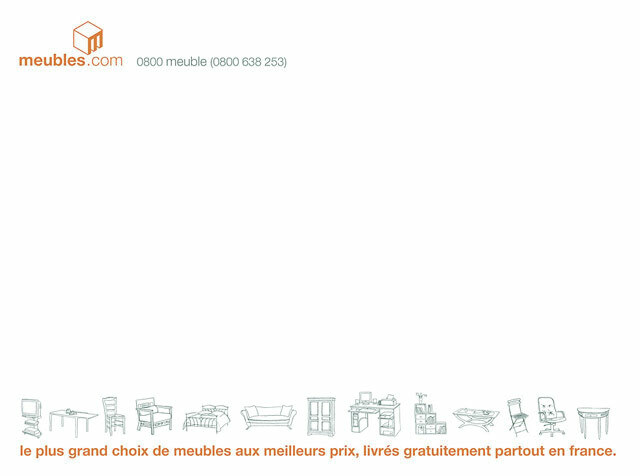 In November 2012 meubles.com stopped trading as a separate brand and is now part of Camif – with the url meubles.com being directly forwarded to camif.fr. September 9th, 2016 — Michael Evamy's book Logotype is now also available as Mini Edition featuring four FL@33-designed logos (Penrhyn Books, Weeks & Cowling, Arts Affaires, MMM-Festival). 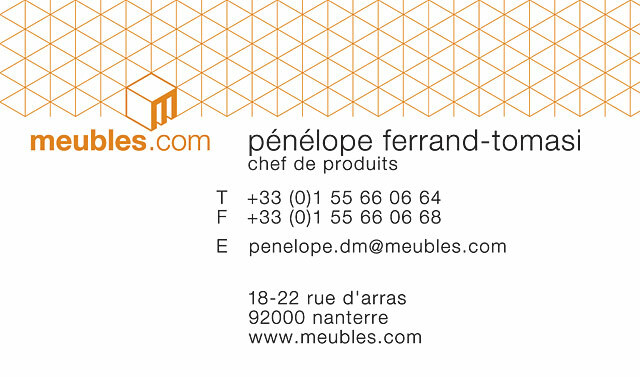 This completes Laurence King Publishing's Mini Edition book series Logo (bzzzpeek.com, Stereohype, FL@33, meubles.com, Toi Com Moi, Matelsom) and Symbol (École Normale de Musique de Paris, Toi Com Moi, Matelsom) and last but not least Logotype. 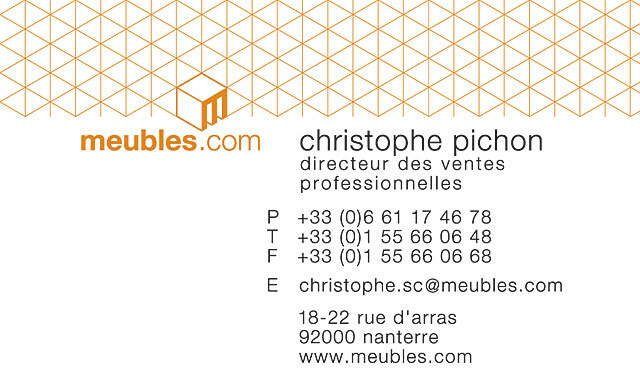 July 6th, 2015 — The FL@33-designed meubles.com logo is featured in the new book Alphabet Logo – another fine compilation from Counter-Print's Trademarks & Symbols book series. January 29th, 2015 — Out now: Logo (Mini Edition) by Michael Evamy also including six FL@33-designed logos (bzzzpeek.com, Stereohype, FL@33, meubles.com, Toi Com Moi, Matelsom). November 7th, 2012 — Our contributor copy just in. FL@33-designed logos featured in latest Laurence King Publishing publication by Michael Evamy. Following the author's earlier book called Logo that featured six FL@33-designed logos (bzzzpeek.com, Stereohype, FL@33, meubles.com, Toi Com Moi and Matelsom) he now selected for his book Logotype four more recent FL@33-designed logos developed for Weeks & Cowling, Arts Affaires, MMM-Festival and Penrhyn Books. We posted snapshots of Logotype here and also on FL@33's Facebook page.